At first glance, the collection of people spilling over from the parkway onto the sidewalk on St. Lawrence Avenue appear to be at a midsummer get-together. Many in the multiethnic group of 30, ranging from toddlers to seniors, are standing around a table loaded with food and drinks. 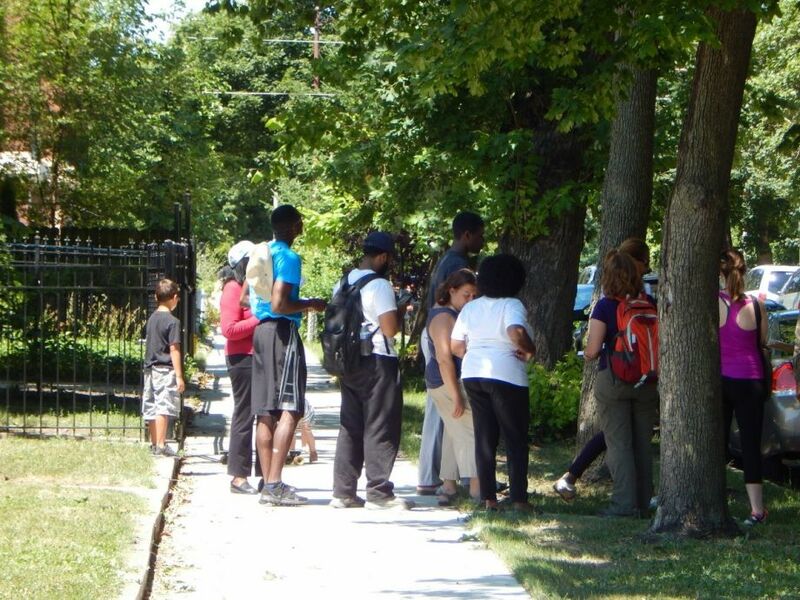 The July event was part of a larger ongoing effort to get one square mile of West Woodlawn, on the southern end of Bronzeville, certified as an arboretum. BIG says it would be the first accredited African-American community arboretum in the United States. The idea dates back to 2010 and has roots in Chicago’s Green Healthy Neighborhood program, a city strategy to revitalize vacant land in several neighborhoods as active green spaces, or for other beneficial purposes. Naomi Davis, founder and president of Blacks in Green, is the driving force behind the tree inventory. An ex-attorney, she is also the granddaughter of African-American Southern sharecroppers who migrated to the North, and has always felt an affinity for natural beauty in urban environments. “I grew up in that kind of neighborhood. I remember two beautiful maple trees that were cut down. They were replaced but the trees were not as beautiful,” Davis says. West Woodlawn is fitting as the location for a city neighborhood arboretum. During the Great Migration of the early and mid-20th century, it was a vibrant mecca for African-Americans escaping Jim Crow restrictions in the South. The block surrounding BIG’s headquarters reflects this vibrancy, boasting handsome, well-maintained brick buildings, along with abundant greenery. However, there are also vacant lots and boarded-up structures. Davis is passionate about revitalizing West Woodlawn as a walkable urban village. “This is Chicago’s first black middle-class neighborhood. The neighborhood is architecturally beautiful, the trees are beautiful, but it is blighted,” Davis says. Preserving and expanding the tree canopy and overall green space has economic and quality of life benefits, says Davis. “People spend more money in a commercial corridor when there are trees. People will look at a neighborhood with trees and think ‘good people must live here,’” says Davis. Information gathered during the tree inventory will be useful in identifying species of trees to plant in the area in the future, as well as those that should be avoided to prevent large-scale destruction, such as the type caused by the emerald ash borer, according to Lydia Scott, of Morton Arboretum in Lisle, Illinois. Scott and another Morton representative, Emily Okallau, were on hand at the July event to serve as experts. 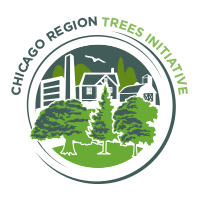 Scott is the director of the Chicago Region Trees Initiative (CRTI), a program of the Morton Arboretum that stretches across seven counties in Chicagoland and is aimed at building and maintaining a healthier, more diverse regional urban forest. Okallau serves as coordinator of Morton’s Community Trees program, which assists municipalities, private landowners and community groups like BIG with caring for urban trees and greenery. Okallau says events like the tree inventory promote community engagement.